Road emulsion provides a cost-effective way of maintaining streets and highways. Adding and restoring a new layer of surfacing prolongs the life of the road. It prevents the need for more invasive and disruptive reconstruction. Depending upon the type of road, its location and the volume of traffic, there will be an appropriate road emulsion formula to suit the demands placed upon it by road users. Quality of product and efficiency in application are key to successful road preservation. Minimising disruption to traffic reduces delays for motorists, which in turn reduces potential disruption and costs to local businesses. For local authorities around the UK who are responsible for the upkeep of roads and streets within their county, being able to maximise their budget is imperative. 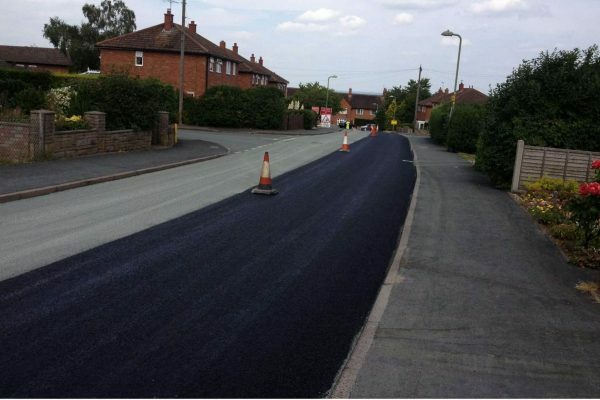 BituChem has a vast experience of working with councils to provide high quality road emulsions for pre-planned maintenance and reactive repair contingencies. As we venture further into the Winter months, the conditions of increased rainfall, lower temperatures and snowfall will challenge the integrity of the road surfacing. We understand that depending upon the location in the UK and the situation of the road, having the right product is essential. There are road emulsion products for bonding, asphalt sealing, and emulsions to preserve existing highways or to lock down newly dressed sections of road. Whatever its purpose, you can be certain of the highest quality products and service from BituChem, wherever you are in the UK. We work with numerous councils and their highway maintenance divisions as an extension of their team. Providing advice on suitable road emulsions and delivering materials as part of their supply chain, we can be part of yours too. With a contracting division who can be called upon to expertly apply surface dressings and road emulsion. BituChem are leading the way with a complete road surfacing capability. Please contact us with any questions about our products and services today.